In 1906, Australian soldiers were issued with a tin disc rather than the original fabric tape for inside their uniforms, and given orders that this was to be worn around the neck. The discs were stamped with the soldier's name, service or regimental number, religion, and unit. 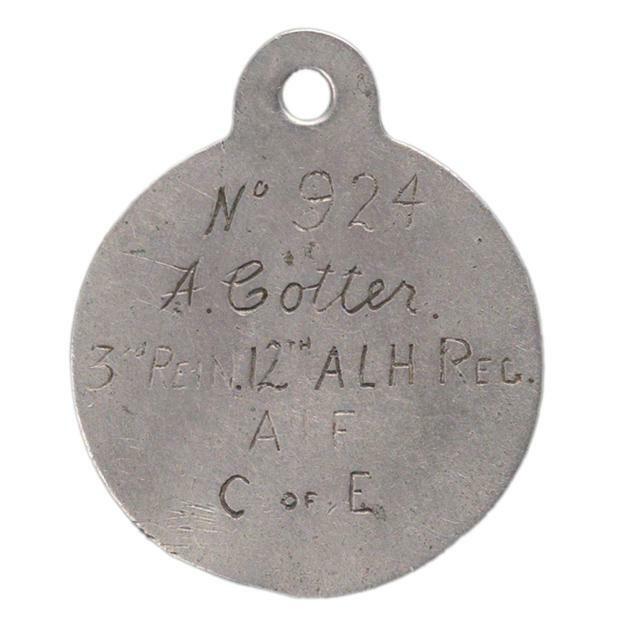 Like all Australian soldiers, Tibby Cotter was required to carry this identity disc with him at all times. More information on Identity Tags can be found on the Australian War Memorial website.